Gold rallied 2 percent to $1,260 an ounce on Wednesday, turning higher after the Federal Reserve indicated that the United States continues to face risks from an uncertain global economy, pressuring the dollar. The U.S. central bank held interest rates steady after its two-day meeting, as expected. However, fresh projections from policymakers showed they expected two quarter-point rate hikes by year’s end. The U.S. dollar turned lower after the statement, falling 0.6 percent against a basket of major currencies, a source of support for the precious metal. Spot gold jumped 2.3 percent to $1,260.61 an ounce at 3:14 p.m. EDT (1914 GMT), after trading down as much as 0.4 percent to $1,226.87 prior to the statement. 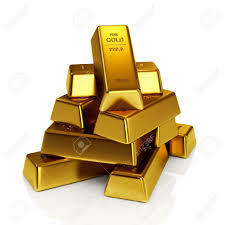 U.S. gold futures for April delivery settled down 0.1 percent at $1,229.80 an ounce prior to the statement. Volatility in equities and oil prices, a raft of mixed economic data, and concerns over global growth had curbed expectations for further hikes, allowing gold to rise more than 17 percent this year. “The 50 basis point average drop in the dot plot for 2016 and 2017 combined with the defensive, almost timorous ‘global risks’ comment has gold surging almost $25 as two-year yields plummet 9 basis points and the dollar is under heavy pressure,” said Tai Wong, director of base and precious metals trading for BMO Capital Markets in New York. Fed policymakers had been expected to leave short-term interest rates unchanged while signaling that a rate hike is not too far off as long as the job market and inflation continue to improve. Gold is highly sensitive to the prospect of rising rates, which lift the opportunity cost of holding non-yielding bullion, while boosting the dollar, in which it is priced. The world’s largest gold-backed exchange-traded fund, SPDR Gold Shares, said its holdings rose 2.1 tonnes on Tuesday, after the fund reported its biggest one-day outflow since early December on Monday. Silver followed gold higher and rallied 1.9 percent at $15.55 an ounce, while platinum was up 2.2 percent at $975.90 an ounce and palladium was up 1.9 percent at $575 50 an ounce.